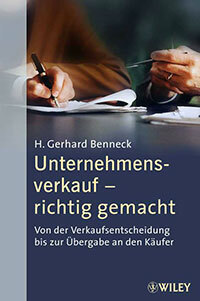 H. Gerhard Benneck wrote a book on the subject of Mergers & Acquisitions which was published by Wiley & Sons in 2005. In early 2006 it got onto the Financial Times Germany bestseller list. This book is only available in German.